Recording studios are an expensive proposition. But recording from the comfort of home can be tiresome and challenging unless you stay alone in an isolated neighborhood. Just when you are recording the most important lines the neighbor’s dog will have to bark and the phone has to ring off its hook. What can be more frustrating than all that shushing up is trying to figure out a way to record from home without ending up with an audio recording that sounds tacky. A lot many people, who do home recording, lean too much on audio editing softwares. But a poorly recorded audio fixed during editing can make it look patchy and hastily put-together. There are several home recording equipments and softwares that are great buys. Audacity is the favorite of not just the pros but those who’ve cleaned up the spare room to record in earnest. 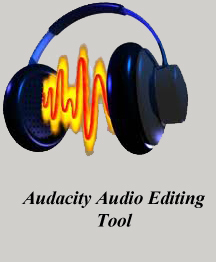 The noise reduction plug in of Audacity has made getting rid of irritating white noise as easy as 123. Whether you are recording voice overs, a music video or dictations you just need these five basic equipments to get started. • A pc with a good capacity hard drive. 20 gigabytes should be ideal. • A soundcard that can record multiple tracks. • A recording software that isn’t too complicated. Fruity Loops, is one great software, to record music in. Sound Forge, is another trusted, recording software. • A microphone and wind screen. Having a script in hand before the recording is essential. It can stop mindless ramblings and trying to search for the apt words when the recording is on. Reading out or singing from a well written script or lyric sheet can help reduce the jitters. It is ok to hit pause every now and then. It is much better than recording for over forty minutes and than realizing that there is some problem that needs fixing. You are recording from home not a studio so you don’t have to mind they clock. Pause and go over the audio recording anytime you sense something amiss.